Fighting depression is definitely a hard journey which you need to go through until you find your inner peace and get in touch with all your deepest thoughts and feelings. It is an entire adventure which you feel like you are not ready for because it takes all your powers and motivation to eliminate the negative and dark thoughts which stop you from enjoying all the amazing experiences which your life offers you. Dealing with depression means taking action and to face all the pessimistic feelings and thoughts. However, taking action might be incredibly hard, but there are numerous remedies which you can use to win the fight against depression such as surrounding yourself with your loved ones, exercising, having a healthy diet, and asking for professional help at an ayahuasca retreat in usa where you can get the right treatment to find your inner peace and cure depression. Another thing which you should consider when struggling with depression is to do research about it and gain information and knowledge which can help you find your way out from the dark room of your mind which depression has put you into by becoming an expert of your condition. When struggling with depression, reading books about it is definitely something you should do because it might be an amazing guide through your journey of recovering from depression. Reading books is an amazing experience because from the first to the last page of the book you enter the universe of the author and become a part of all the emotions, actions, and characters which you find in the story you are reading. Read below what are the 5 books which talk about depression which you should read when struggling with this problem. 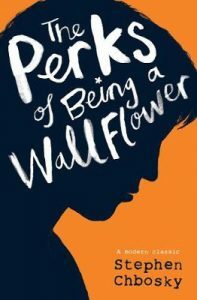 An epistolary novel wrote by the American writer Stephen Chbosky, The Perks of Being a Wallflower follows the story of an introvert teenager in his first year of high school as a freshman. Charlie, the main character of the novel, is a silent witness who is extremely observant and thoughtful to all the things around him. The entire book is written as a series of letters between Charlie and “his friend” who remains anonymous and never writes back to Charlie. The novel is hard and emotional to read as it tells the story of a repressed trauma of the teenager caused by two deaths of his loved ones in the past and his struggle with bullying from other students. As the story of the novel unfolds, the teenager becomes increasingly anxious and the depression which he is dealing with starts to affect him more seriously. Anne Sexton was an extraordinary American poet who has committed suicide in 1974. The story of the book called Anne Sexton: A Portrait in Letters was put together after the death of the poet by one of her closest friends and her daughter. The book is a compilation of numerous private letters written by the poet for her friends, family members, and other fellow poets. Some of the letters are incredibly emotional as they reveal the tough fight of the poet against depression and her darkest thoughts. A relentless depression which is showed in most of the letters of the poet describing the poet’s perception about herself and the despair of losing her parents. Jenny Lawson is an American journalist, humorist, and blogger. Furiously Happy is the second book written by the humorist as a continuation of her first book from her autobiography. The book reveals the battle of the authoress with mental illness, anxiety, and depression. However, even if it is a book which exposes the tough challenges of dealing with depression, it is a story positively hilarious. The struggle with depression and how to learn to accept who you are and to be happy are the main themes of the book, described and combined into a refreshing tale of a ridiculously funny story. Telling a story about mental illness and seeking treatment, This Close to Happy is a book written by Daphne Merkin openly sharing her story from her memory about the depression she has fought with her entire life and the three hospital stays in psychiatric hospitals, giving the readers an open window to her deepest thoughts. A chronicle of her own despair which allows the public to see how famous people deal with serious mental illnesses which make them go through a journey of dark thoughts and feelings. Based on author’s Ned Vizzini five days experience in an adult psychiatric hospital, the story told in the book called It’s Kind of a Funny Story exposes the difficult moments of a 15-years old teenager named Craig who is a high school freshman and collapses under the pressure of the high demands asked by the school, jealousy, sexual desire, and party drugs. The stress becomes unbearable and the teenager stops eating and sleeping and nearly kills himself one night. The suicidal episode, eating disorders and insomnia gets him into a mental hospital where he finds friends and learns more information about his situation from people dealing with the same disease. The book is based on the author’s own battle with depression which makes the story incredibly touching since the way in which the feelings and the thoughts caused by depression are described is incredibly deeply emotional. Reading books about characters who are fighting depression, their feelings and thoughts and the way they react to the things which happen around them will surely help you identify yourself with their situation, allowing you to see things through the eyes of the outside world. Seeing things more clearly is the best way to find the best solution which will help you find the power and motivation to end the struggle with depression and find your inner peace.